When planning production times, especially with a run of a particularly specialized part, it can be a great benefit to estimate the time for machining a part. An estimated time can be obtained from AlphaCAM for this information. 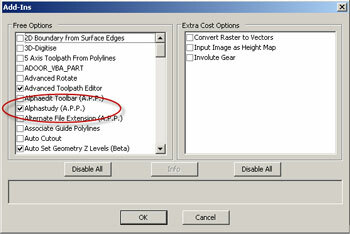 To activate the function in AlphaCAM Go to the Utils drop down menu, and click on Add-Ins. Under the Free Options area, select Alphastudy (A.P.P). Once Alphastudy has been turned on, there will be a new menu item under the File drop down menu calledTime Study. 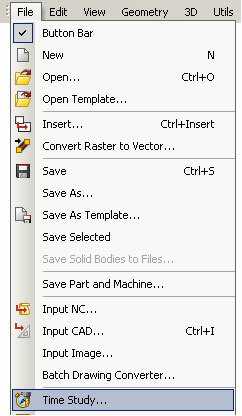 Create a part including all machining operations in Alphacam. Select File and Time Study. Units-Inches or Metric, Select the unit of measure used in Alphacam. 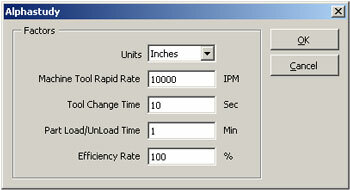 Machine Tool Rapid Rate – Speed the CNC machine travels at Safe Rapid Level. 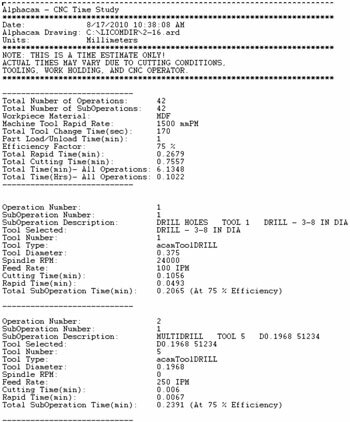 Tool Change Time – Average time the CNC machine takes to change tools. Part Load/Unload Time – Average time for the machine operator to load and unload material. Efficiency Rate – The speed the machine operator has set the CNC machine to run. 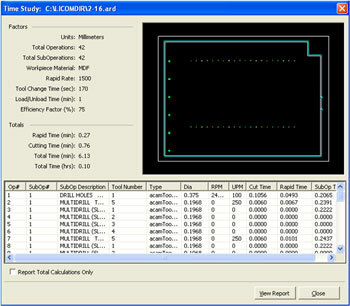 After the parameters have been established, select OK and the part will be analyzed. This window provides a quick visual view of the operations and their processing time. Selecting the View Report option, will provide a more precise break down of the part. This will also allow printing of this report.